ANTONIA HORLICK WRITES — Over the last few years the fashion world has embraced racial diversity, with designers and modeling agencies making an effort to cast racially diverse models. Despite the recent shift towards a more inclusive industry, there are still insurmountable barriers for people of color in the industry. 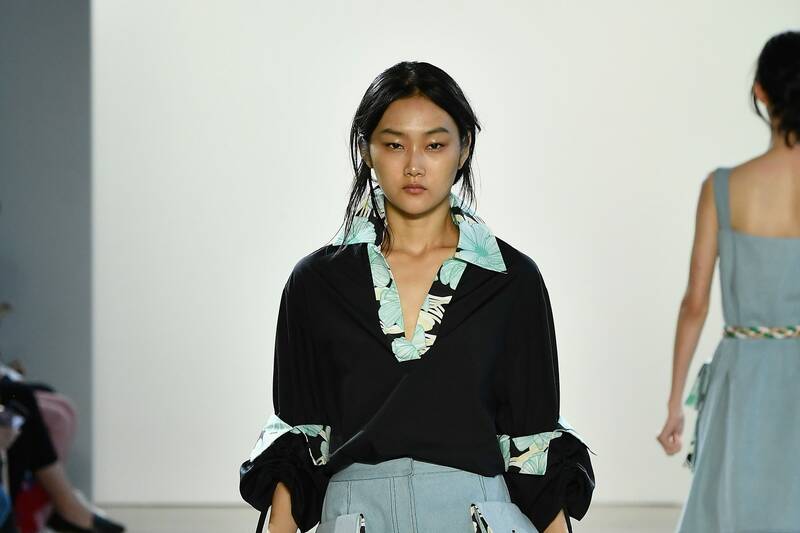 As Erica Euse, a writer at Vice magazine said, “Nowhere is the struggle more visible in fashion than on the runways of New York Fashion Week, where around 80 percent of models on the catwalks are [have been] white.” This lack of visible progress explains why designer Claudia Li’s Spring 2019 collection, which debuted the week of September 10, made such a historic statement during New York Fashion Week. Claudia Li, a New-Zealand born Chinese designer, has displayed several collections before at fashion events. However, NYFW stage was her first runway show. Li’s debut was actually a double-edged, cutting-edge fashion statement in that she incorporated her personal experience as an Asian-American in New Zealand, into the casting of 35 Asian models to walk the runway. Li continued the conversation about inclusivity on her Instagram page. Li’s initiative stands in sharp contrast to the usual standard of how a model at fashion week ought to look: namely, a white woman. Thus, she not only broke a norm of the fashion world but showed the diversity within Asia itself by using models from all over the continent. Fashion enthusiasts who attended Li’s show or watched it online have not stopped applauding the designer for challenging the singular version of white female beauty usually strewn across fashion hubs around the world. By using her platform to inspire other designers, Li not only breaks the stereotype that all Asians are the same, but in fact encourages people to embrace important Asian/ethnic distinctions. Li has set a precedent not just on the fashion stage, but on the world stage. I totally agree. The fashion industry is in a state of radical change, just as the rest of the world. Globalization has influenced every industry, and such is evident by this recent article. It is no surprise that women of color have taken center stage in recent years — further propelling monumental shifts in the way humanity views beauty.